When the Zika virus became a global terror two years ago — inflicting severe birth defects on the babies of pregnant women who were infected with the virus and alarming health officials worldwide — scientists were mystified. How did such an obscure, relatively harmless pathogen that had been known for more than half a century suddenly blossom into a monster virus? Was it something about Zika's new hunting grounds when it spread from Africa to South America and the Caribbean? Were its new victims in Brazil somehow more susceptible to its effects? A group of scientists based in China may have finally solved the mystery. Their research — published Thursday in the journal Science— pinpoints a small mutation in Zika's genetic makeup that made the virus much more dangerous. Their research shows that a change of a single amino acid — likely occurring sometime in 2013 — created a new strain of Zika much more dangerous to developing brain cells. 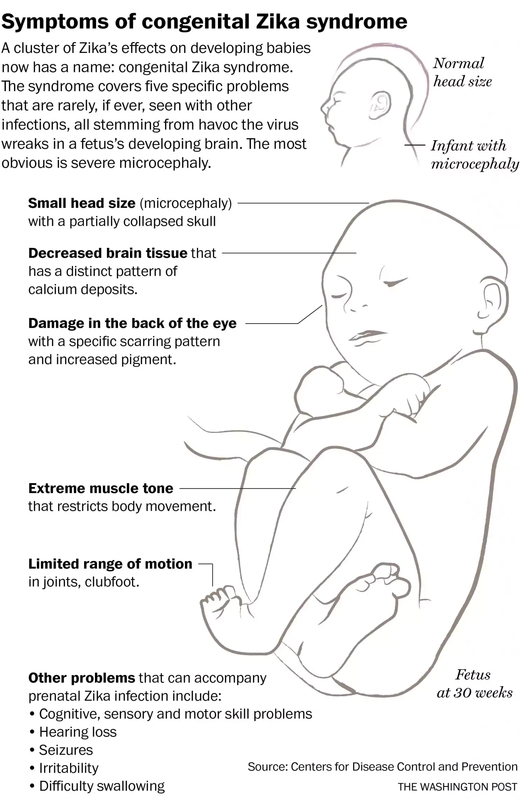 Shortly after, Zika was implicated in a dramatic increase in cases of microcephaly, in which babies' heads are abnormally small, and a range of other birth defects. "This answers the question everybody has been wanting to know. Why is it only in the last few years that Zika became so explosive, not just in its virulence but in severity of symptoms," said Pei-Yong Shi, a virus and genetics expert at University of Texas Medical Branch who is a co-author of the new study. While the prevalence of Zika has been much lower this year compared to the outbreaks in 2015 and 2016, experts say Zika could return in waves in future years, based on the outbreak cycles of similar viruses. The discovery will be of some help to those now working to develop a vaccine for Zika. It also helps health officials trying to prevent future outbreaks of other viruses by helping them understand how a relatively benign virus like Zika quickly became a global threat. Scientists have known about Zika since 1947, when it was isolated in a monkey in the Zika forest of Uganda. But for decades, the virus seemed inconsequential, with symptoms like a mild form of dengue fever. In recent decades, there have been sporadic spikes of infection as the virus made its way from Africa to Southeast Asia. There was an outbreak in Micronesia in 2007, and in French Polynesia in 2013 and 2014. But two years ago, when Zika finally reached South America, the speed at which it spread skyrocketed. Doctors also began noticing the increasing rates of the alarming microcephaly and suspected a connection to Zika. It took an international effort to connect the birth defects conclusively to Zika and begin to rein in the outbreaks. Zika is primarily spread by mosquitoes, but it can be sexually transmitted. To identify the small molecular change that gave Zika its sudden virulence and power to inflict birth defects, it took two dozen scientists — almost all based in China — working for more than a year to isolate the amino acid responsible. The group took older strains of Zika from earlier outbreaks in Africa and Micronesia and compared it to the current strain in Brazil. Then, they slowly modified the older strains, making one change to a protein at a time and injecting it into pregnant female mice to see if the modified strains disrupted brain development. After trying seven different amino acids, they found the culprit. It was a single amino acid called serine that, when replaced by another amino acid called asparagine, caused the devastating effect. Because of the complexities involved in the research, the resulting paper carries the names of 23 co-authors, said Zhiheng Xu, a brain development expert at the Chinese Academy of Sciences, in a phone interview from Beijing. The interdisciplinary crew included experts in virology, neurologists, fetal development, mouse specialists and structural biologists as well as other fields. 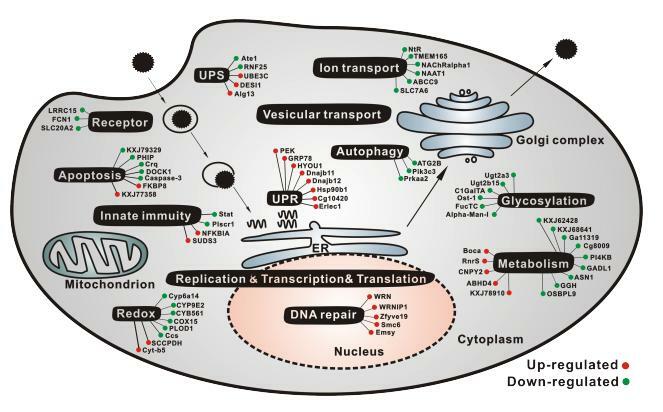 Once the group isolated the protein change responsible, they checked against strains from previous eras to see when the amino acid mutation first appeared. The researchers believe the mutation occurred before a 2013 outbreak in French Polynesia and began to dominate as that strain spread to the Americas. Part of what makes RNA viruses like Zika so successful is that their genetic material is unstable, giving them an uncanny ability to mutate quickly as they are transmitted over and over. Scott Weaver, who heads the Institute for Human Infections and Immunity at the University of Texas Medical Branch in Galveston, called Thursday’s findings important, but pointed out the Chinese group only tested the changed amino acid strain on mice. "I believe that additional work in human cells, including cells from the placenta, as well as larger numbers of donors are needed to confirm the potentially very high significance of the study," he said. Before Thursday's announcement, scientists had floated several theories for why Zika became so virulent in 2015. Some believed it had to do with the immune systems of Brazilians and South Americans, who had not been exposed to Zika before. Others thought Zika may have somehow interacted with the antibodies in the bodies of locals who had previously experienced other viruses like dengue. Some of those other explanations may still have contributed to the outbreaks, said co-author Shi. "This isn’t the answer to everything, but it's one of the most important pieces of the puzzle," he said. Even with this new insight into Zika's origins, however, scientists still have questions about the virus. Their most urgent task now is to develop a working vaccine for Zika before the next outbreak occurs. Roughly five to six vaccines are already in human trials, said Anthony Fauci, head of the National Institute of Allergy and Infectious Diseases. Because Zika has become less active during the past year, it has become harder to test and finalize a working version of the vaccine. In U.S. states, there have been 268 confirmed cases of Zika this year, compared with 5,102 last year, according to the Centers for Disease Control and Prevention. U.S. territories have had 556 cases so far this year and had more than 36,000 cases in 2016, primarily in Puerto Rico. But if another outbreak occurs in Brazil during that country's summer (which occurs during winter in the United States), it would actually speed up the work of vaccine developers, who in that case might have a vaccine ready by mid-2018, Fauci said. If another outbreak doesn't occur, the vaccine may not be ready until 2020. Scientists are also trying to develop better ways to diagnose whether someone has been infected in the past as well as come up with therapeutic treatments for pregnant women who have been infected.